Then this may be the program for you. And now I want to help you. I’ve taken the intuitions that top engineers use to build robust and maintainable systems, and turned them into principles that can be taught and drilled much faster than learning by experience. Now I’ve streamlined this material, tested it on live audiences, and turned it into a program to help bring you to your dream skill level. This workshop is not a replacement for hard work, and it’s not a guarantee of success. It is a shortcut to understanding the deepest levels of software engineering. Exact syllabus may be altered between now and the workshop. Have you ever crammed for a test? You probably forgot everything afterwards. We’re going to help you absorb these new skills long-term and apply them to your day-to-day work. That’s right, three 60-minute 1-on-1 sessions with ICF-certified coach James Koppel, to be used any time after the weekend ends. I’ll use my hundreds of hours of experience working 1-on-1 with professional engineers like you to help you be the best engineer you can be. Are you a junior or mid-level software engineer who wants to build systems that take little effort to maintain, and where adding new features is a pleasure? Then this workshop may be the right thing to jump you to the next level? This is not a beginner’s workshop. I designed it for engineers with at least one year of professional experience, and I’ll talk with you 1-on-1 before the program to make sure that it’s right for you. If you already have a proven track record of designing systems so that it’s hard to make a mistake in the implementation, or if you routinely show teammates why their code will fail in a year, then you may find this workshop a nice way to put a more principled perspective on intuition you already have. You may also find the exercises too easy. But, in that case, you might be a great fit for my 1-on-1 coaching, where I’ll teach even more advanced material at the pace you desire. This is a workshop for professional software engineers. For exercises, you will need to be able to understand code samples from open-source projects we give you to critique, and you will need to be able to reflect on code that you’ve worked with in the past. 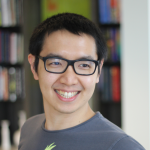 Jimmy is a coach with two years experience helping engineers improve their software design skills. He currently works at MIT, doing research on program transformation and synthesis, and was previously the third employee of Apptimize and the founder of Tarski Technologies. He completed his undergraduate education at Carnegie Mellon University, was named a “20 Under 20” Thiel Fellow in 2012, and attained his ICF coaching certification in 2017. Chase started his programming days through businesses serving the Runescape and Myspace audiences. He’s worked for web companies like Indeed, Quizlet, and Stripe, as well as hardware companies like Sphero, Nest, Planet, Boosted Boards, and now Skip. He loves hacking, teaching, learning, and Frisbee. He’s had dozens of coaching sessions with Jimmy. 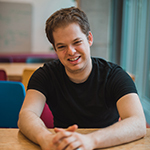 Elliott is an engineer on the Search Infrastructure team at Dropbox, where he works on a distributed text retrieval system. Previously he was at Palantir, where he worked on a distributed transactional database, and Apptimize, where he met Jimmy. 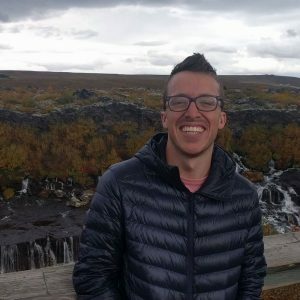 Elliott has also served as a tutor for Stanford’s Center for Teaching and Learning, a section leader in Stanford’s intro CS course, and a volunteer mentor at the Center for Applied Rationality’s flagship workshop. The Advanced Software Design Weekend Intensive will meet July 28th and 29th, 10 AM to 7 PM, with an hour break for lunch each day. There will be a group dinner after the end of the program Sunday. The workshop will be held in San Francisco at the 999 Sutter St., near the Civic Center and Powell St. BART stations. This workshop is highly interactive, with a 3:1 student to instructor ratio. You will be asked to design APIs, critique example code, and discuss systems you have built – all with real-time feedback from our instructors. Every attendee will also be offered three 60-minute follow-up sessions with Coach James Koppel, to be used freely throughout the following year. This workshop is a big investment in yourself, and, like any big investment there’s some risk it won’t work out. But I’m committed to making this workshop one of the best things you can do for your career. I’ve put my heart and soul into making this workshop into the most intense learning experience you can imagine. It’s been about a year of planning and practice, and close to 1000 hours of prep. And so I believe in this workshop so strongly that I’m offering a 60-day money-back guarantee if for any reason you are dissatisfied with it. So sign up, because I’m taking all the risk. The upcoming April workshop in San Francisco is sold out, but you can still register early for the next time we run it. Since I started helping engineers two years ago, I’ve been amazed at the results I’ve helped people achieve, and at how few resources there are to help them at the higher levels. Even still, to keep our student to instructor ratio small, there are only 6 spots in this workshop, and some filled up even before I even announced it publicly. Over the past 2 years, I’ve made a big difference in many people’s lives through my 1-on-1 coaching. My goal for this program is to help 100x more people in the same way.